Home/Blog/What is the difference between full scribe, timber frame and post and beam homes? There are 3 main types of log and timber structures: full scribe, timber frame and post and beam. This article will break down the difference between these three structures to help you select the right style for your home. 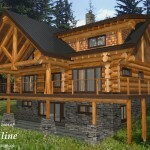 When you imagine a traditional log home, a full scribe log home is typically what you will think of. Logs are cut with notches and then stacked horizontally on top of one another to form walls. Full scribe log homes are extremely energy efficient and can withstand extreme weather conditions, hence why most remote cabins are full scribe log cabins. 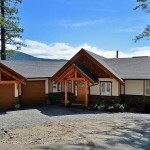 It is important to remember that when building a full scribe log home the house will need a few years to “settle”. As the logs dry they will shrink and adjust so you want to ensure the builder you are working with has properly built your house for easy maintenance. If you like the look and feel of log work but don’t want a full scribe log home, post and beam may be the perfect fit for you. Probably one of the most popular styles of timber homes, post and beam provide a natural log surface in and outside the home but use fewer logs than full scribe resulting in cost savings and less settling maintenance. Post and beam structures are very flexible and consist of round vertical log posts that carry large horizontal logs on top. Timber frame and post and beam log homes are very similar. The main difference is that timber frame cuts the logs square rather than using round logs. 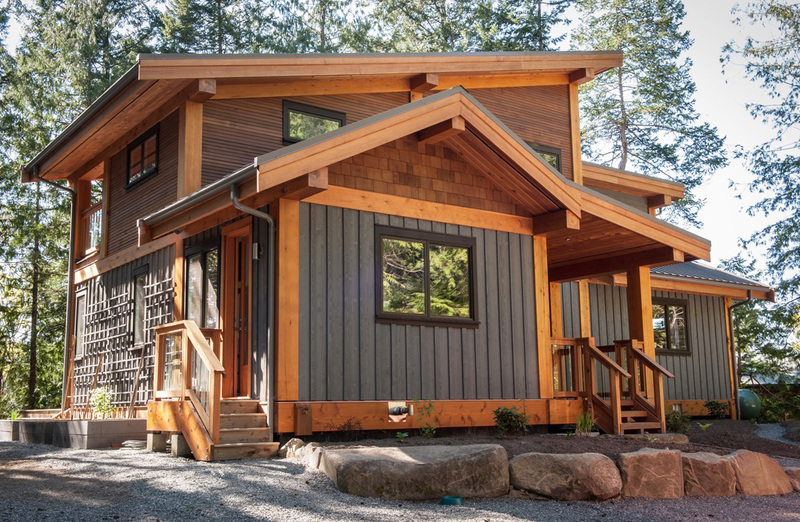 Timber frame typically has timber work featured inside the home with traditional siding on the outside. As mentioned, you are seeing more and more designers mixing and blending these three styles together and adding additional elements such as rock to create new looks and designs. If you see multiple elements from different designs that you like, speak to your designer about how they can combine your vision into their final plan.